Canon makes two of my favorite wildlife lenses that are suited for hand holding as well as tripod mounted photography. As a general rule, I prefer to handhold my camera and lens so I can follow the wildlife action wherever it leads me without the hassle of lugging a tripod. These two lenses are great for handhold, wildlife photography and their built is solid and first class. Sadly, both lenses are showing their age, the 400mm and 100-400mm were introduced in 1993 and 1998 respectively. There are rumors a Series II version with IS may be coming out for the 400mm but my bet is the 100-400mm will receive the upgrade first. Read my latest post on this topic. For the ultimate wildlife lens when used with a tripod, look not further than the Canon EF 200-400mm f/4L IS USM Extender 1.4x lens. First, let us review the main specifications of these two lenses. Dimension without hood - 3.6 x 7.4 inch, weighs 48 oz. and uses a 77mm filter. Variable aperture and focal length with a push / pull mechanism, 8-blade aperture. 2 modes of Image Stabilization giving a 2 stop advantage. Minimum focusing distance - 5.9 feet. Compatible with Canon EF 1.4x and 2.0x extenders. Dimension without hood - 3.5 x 10.1 inch, weighs 44.1 oz. and uses a 77mm filter. Fixed aperture and focal length with built-in lens hood, no IS compensation, 8 blade aperture. Minimum focusing distance - 11.5 feet. When I go on photo shoots, the question I have been asked many times is, which is a better wildlife lens and how do they stack up against each other. Being a zoom lens, the 100-400mm lens is a tiny bit soft in the middle when used with the aperture wide open and in the shorter focal length. The sharpness improves with the lens extended and aperture stepped down. The 400mm is an all around sharp lens. Both lenses focus reasonably fast for their aperture and offer decent bokeh. They actually have very similar performance and image quality it is really a toss up. But there are important differences as well. 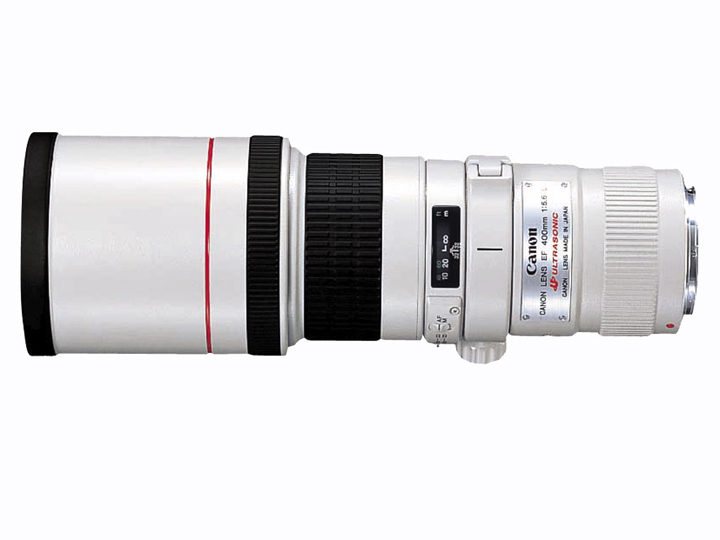 The 100-400mm is a zoom lens with a MFD of less than 6 feet. This versatility cannot be minimized if one is out in the field chasing wildlife. The 2 stop IS system also comes in handy when photographing in less than ideal lighting conditions. However, the push / pull mechanism of the 100-400mm zoom lens is cumbersome and the 400mm prime lens excels in focusing and that is not a small thing when photographing birds in flight. Both lenses' design are aging and the 400mm prime lens has no IS but personally, I think Image Stabilization is sometimes over rated. How can the camera really stabilize a moving image, like a BIF or breaching whale? Both lenses are an integral part of my equipment lineup but if your budget forces you to pick one and you usually photograph wildlife and birds out in the open, pick the EF 400mm f/5.6L. If you travel into forest and jungle, zip around in zodiacs and small boats to photography wildlife, then the EF 100-400mm f/4.5-5.6L IS is a more versatile pick. However, the rumor is Canon may announce the EF 100-400mm f/4-5.6L IS II lens with a zoom ring, instead of the push / pull mechanism some time in 2014. 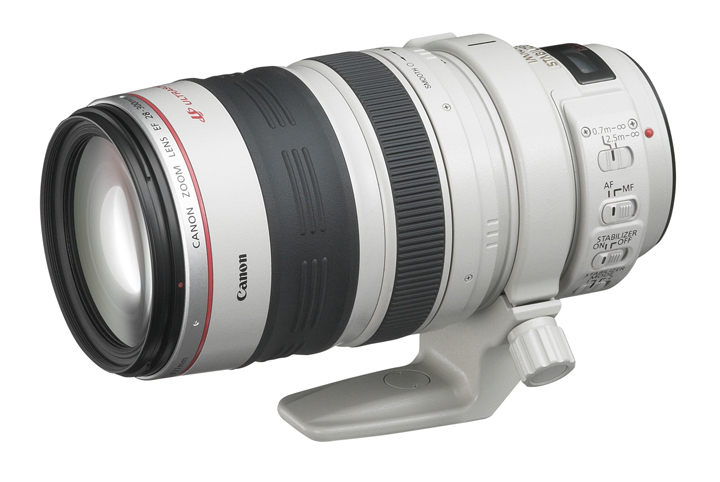 This would be an ideal lens for me and combined with the EF 200-400mm f/4L IS. Visit my website MichaelDanielHo.com to see my equipment lineup and many exciting wildlife photos taken around the world with both lenses and subscribe to my Blog to keep up with the latest news and developments and follow my travels on Facebook .